Meet the wooden iPad lookalike your kids can't break! 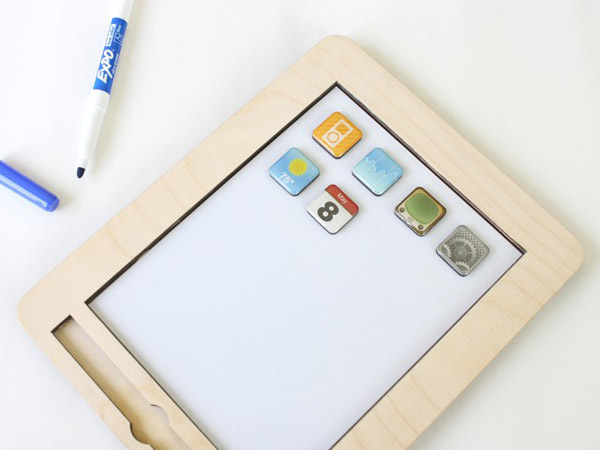 Meet the wooden iPad lookalike your kids can’t break! I talk myself in and out of buying an iPad more times than I care to count. My children would love it, I witness daily how much they abuse, er, love my iPhone. I’m not sure if there’s enough will on my part to protect an iPad. The anaPad though – now that’s getting back to basics! Sure, there’s no Angry Birds to be played, no Fruit Ninja score to beat and certainly no annoying music associated with Doodle Jump but there is some good old fashioned fun to be had. Inspired by the Apple iPad, the anaPad from Etsy seller Twigcreative is a magnetic whiteboard that promotes creativity and use of imagination. 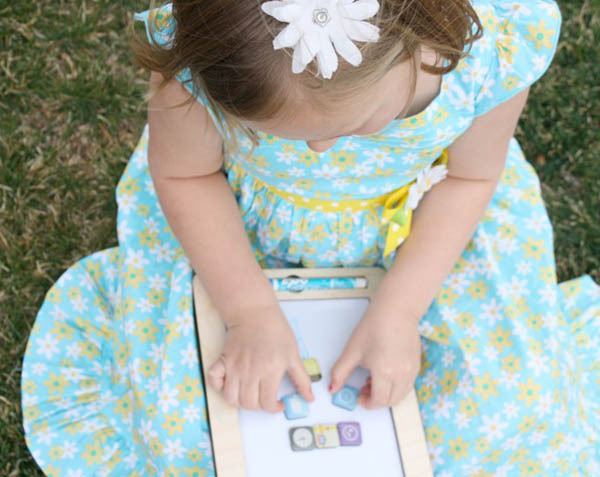 The anaPad shares the dimensions of the Apple iPad to make another fantastic but less fragile creative learning tablet for small hands and laps. This wooden children’s toy comes complete with an erasable whiteboard marker and app-style magnets that children will love to move about the anaPad surface. Get your anaPad from Twigcreative for US$35. Shipping to Australia will set you back US$18, but just think – you won’t need to buy a car charger or any iTunes cards.